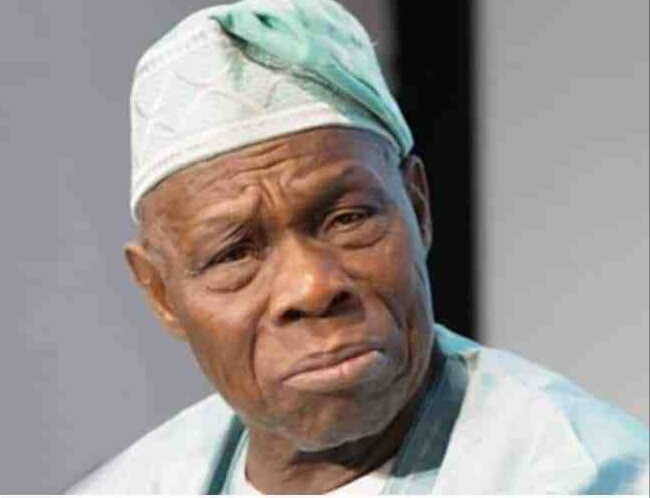 Former President of Nigeria, Chief Olusegun Obasanjo, has expressed concerns about the continuous aberration of democratic principles under President Muhammadu Buhari’s administration, citing that apart from the administration’s grand plan to rig the forthcoming general election, the country is undergoing another era of former military President, General Sani Abacha. Obasanjo called on the international community to quickly step in to halt the grand plans of Buhari’s administration to rig the election with stiff warnings and threat to sanction culpable government officials. Obasanjo expressed serious concern about the readiness of the Independent National Electoral Commission (INEC) to conduct free, fair and transparent election, alleging that it has been compromised by the incumbent administration. Obasanjo spoke through a statement he handed to Journalists in his Ota farm, Abeokuta, Ogun state. I am concerned as a democrat who believes that with faithful and diligent practice of democracy, we can get over most of our political problems and move steadfastly and surefootedly on the course of stability, unity of purpose, socio-economic growth and progress for all.. Therefore, I am not persuaded by a track record of hollow words, impunity, insensitivity and ‘I-couldn’t-care-less’ attitude, or by the sanctimonious claims of any candidate and his campaign staff. I will only believe what I see. This is a time for vigilance to fight to safeguard our votes and defend our democracy. The price of liberty and sustenance of our democracy is eternal vigilance and appropriate reaction to ward off iniquities. We must all be ready to pay that price and not relying on hollow words of callousness. The derailment of Nigerian democracy will be a monumental disaster comparable to the disaster of the Nigerian first military coup. It is no use, at this juncture, to keep lamenting about the failure, incompetence, divisiveness, nepotism, encouragement and condonation of corruption by Buhari administration as there is neither redeeming feature nor personality to salvage the situation within that hierarchy. Where and how will all these stop? Typically, with overwhelming outrage and condemnation, we are told that the Presidency denied knowledge of the action. But the Vice-President told us that the President knew of the action on Saturday night for everything that has been prepared for Monday morning. Haba VP, it doesn’t happen that way. Nobody should take such measure against any of the four in hierarchy below the President or any of his ministers without his knowledge and indeed his approval. But if that can happen to the Chief Justice of the Federation, the fifth man in the hierarchy of government, without the knowledge let alone the approval of the President, then it speaks for the type of government we have which means the President is not in charge let alone being in control and no Nigerian must take anything for granted. We are all unsafe and insecure under such an administration. And enough of it! Buhari’s apologists will not stop at anything to try to cover up his administration’s inadequate performance and character. testimony to this road similar to Abacha whom he has praised to high heavens and as an arch-supporter and beneficiary from Abacha, he has seen nothing wrong done by him. It is clear from all indications that Buhari is putting into practice the lessons he learned from Abacha. Buhari has intimidated and harassed the private sector, attacked the National Assembly and now unconstitutionally and recklessly attacked and intimidated the Judiciary to cow them to submission. Maybe I should remind those who are using probe as a threat that I have been probed four times by EFCC, ICPC, House of Representatives and the Senate and Buhari has access to reports of these probes. But I have also challenged Buhari and the criminals around him to set up a probe on the same allegations and I will face such probe in public. But I know that these criminals cannot withstand a Police inquiry let alone clinical probe on the past public offices they held. My fervent prayer is that President Buhari may live to see the will and purpose of God for Nigeria. My final appeal to him is to desist from evil with manipulation and desperation because evil has repercussion especially as man who should watch and be mindful of his self-acclaimed and packaged integrity. At the end of the day, those who goad you on will leave you in the lurch. You will be left alone, naked and unheralded. In defeat, which must be Buhari’s fear leading to desperation, he and his co-travellers can still maintain modicum of decency, and exhibit fear of God in their actions. We have been told that governance has been abdicated to a cabal. Now, campaigning has been abdicated to ‘jagaban’. And it is being authoritatively stated that he would not join any presidential debate.